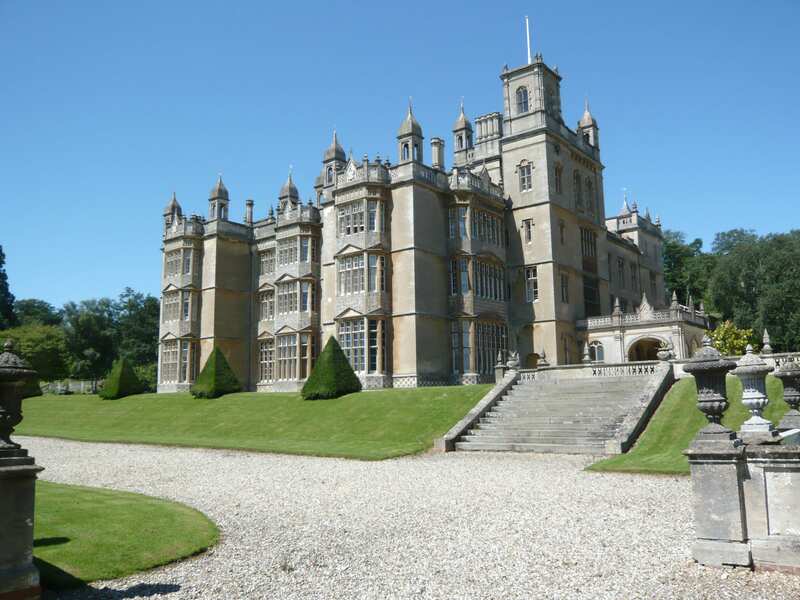 Englefield House Case Study: An East India Company House? Home / Englefield House, Berkshire / Englefield House Case Study: An East India Company House? When W. Fletcher and Edmund J. Niemann toured Reading in the 1830s they noticed a ‘splendid mansion’ which was ‘seated on the declivity of a hill’ and remained sheltered from the north-east winds ‘by the verdant summit’. Englefield House was the ‘splendid mansion’ in question. Fletcher and Niemann depicted Englefield as a solid, constant entity ‘bounded by swelling hills, adorned with elegant seats, woods, and cultivated grounds’. In referring to Englefield’s surrounding land, Fletcher and Niemann stressed the importance of Englefield as a landed estate and thus a receptacle of power and wealth. In case the reader was in any doubt of the historical longevity of the house, Fletcher and Niemann set out further to reassure them. According to Fletcher and Niemann the house corresponded ‘in its style with those erected about the time of Elizabeth, with handsome bay windows, battlements, and towers’. Englefield’s appearance was ‘noble’, possessing as it did ‘all that uniformity of design characteristic of fine architecture’. A present day image of Englefield (shown left) confirms and reiterates Fletcher and Niemann’s earlier depiction. Although perhaps ‘superficially mid-Victorian’ its Elizabethan architecture continues to remain imposingly solid today. Surviving as it has for so many centuries, the architecture of the house represents continuity rather than change. As a result, its eighteenth- and early nineteenth-century history, particularly its connections with the East India Company in this period, remain largely hidden. There is no sign of the East India Company and its Indian ventures on the exterior of the building. There is no published record of individuals visiting Englefield and noting its East India Company connections. Nevertheless objects, people and money all linked Englefield House to the East India Company in the eighteenth and early nineteenth century and this link shaped Englefield in its turn. This case study aims to uncover that hidden history to reveal how change rather than continuity shaped Englefield in the eighteenth and early nineteenth century. Rather than treating Englefield as an inert object, this case study examines the country house as a series of processes to uncover the histories that are seemingly absent from its exterior appearance. Building on Mark Girouard’s contextual approach to country house history, it particularly focuses on the movement of people, objects and money into and through this house and explores the different processes that prompted such movement. Marriage, inheritance and renting ensured that new people unconnected with the Englefield family entered and occupied Englefield House in the eighteenth and early nineteenth century. Lawrence and Jeanne C. Fawtier Stone’s have demonstrated that in contrast to the myth of the ‘open elite’ relatively few new families joined the upper strata of society in the period between 1540 and 1880. Nevertheless, the Stones acknowledged that wealthy merchants featured heavily in those families that did manage to make the transition and that by the second generation these families had fully assimilated. The Englefield case study demonstrates a much slower and more circuitous route to assimilation for families linked to mercantile trade generally and the East India Company more particularly. Relying mainly on correspondence, this case study shows that a high proportion of the ‘new’ occupants at Englefield were connected with the East India Company. In turn they ensured that Englefield took its part in the ‘English Hindostaan’ that was eighteenth-century Berkshire. Whether numerically accurate or not, contemporaries perceived that Berkshire at least contained a worryingly open elite. Englefield’s new occupiers demonstrated their connection to the East India Company in material ways. Richard Benyon, for instance, invested material objects with meaning and used them to demonstrate the affection he felt towards his children. Similarly, his wife Mary bequeathed particular objects to her children creating a material legacy that connected different generations of the Benyon family. Despite such investment in material objects, the inventories, wills and correspondence that largely make up Englefield’s historical record tell us little about how occupiers such as Richard Benyon, Lady Clive and Elizabeth Sykes used their East India Company connections and experiences to shape the domestic spaces of the house. This case study questions what the silences resonating from the gaps within the historical record tell us about the material world of Englefield and its occupiers in the eighteenth and early nineteenth century. Englefield House’s complex interior biography is not fully captured by the fleeting and static moments that inventories represent. Rather correspondence and wills point to the processes of change and movement which shaped Englefield’s eighteenth and nineteenth century history. On some points the historical record remains frustratingly quiet. Yet by privileging moments of change, silence and loss that appear in the historical record a fuller picture of the house emerges – one that is significantly closer to a narrative of change and disruption than continuity and consistency. W. Fletcher and Edmund J. Niemann, A Tour round Reading, a guide to its environs (1840), pp. 88-89. Fletcher and Niemann, A Tour round Reading, pp. 88-89. Geoffrey Tyack, Simon Bradley and Nikolaus Pevsner, The Buildings of England: Berkshire (London and New Haven: Yale University Press, 2010), p. 293. Mark Girouard, Life in the English Country House (New Haven: Yale University Press, 1978).